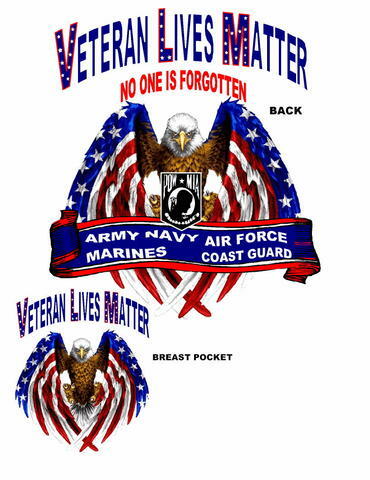 We designed this shirt because at the end of the day, if it weren't for us vets, what lives would we be talking about? It's the veterans of this country that make ALL lives matter. Whether you're white, black, brown, yellow, red, etc...we make ALL lives matter. Great shirt for yourself, family members or friends. Comes in four shirt colors. Red, Black, Navy Blue and Light Gray. Sizes run from S-XXXL. Front breast design and full back design.